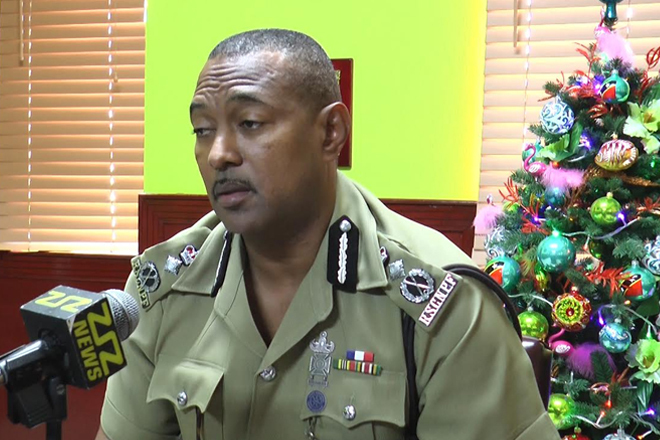 (ZIZ News) — Commissioner of Police, Ian Queeley says there were no reports of major incidents of crime on Reduced Value Added Tax (VAT) day last Friday. He made the comments while speaking with ZIZ during a brief interview on Monday afternoon. “There were no major reports that were made to the police. As a matter of fact we didn’t have any reports about anything on towards on VAT Day in and of itself. Members of the High Command were out up to at least 1 in the morning because the VAT Day was supposed to end at midnight” Commissioner Queeley stated. The Commissioner added that the additional police presence helped to prevent violence and criminal activity. “The Police would’ve had a strategy put in place which also included all members of the senior management team joining up with the junior ranks on the street to provide that additional support in terms of the resources that were needed. We anticipated that there would be a lot of traffic congestion, we anticipated that there would be a lot of opportunities presented for criminals to take advantage and so that heightened visibility was necessary in order to curb any criminal activities”, Commissioner said. Queeley also commend the public for their assistance. He also advised business owners to take advantage of the concessions on surveillance equipment. “We are pleased with the public’s cooperation as well and the business owners. We had an opportunity to interact with the business owners and share security tips with them. We also want to use this time to impress upon the business owners to take advantage of the government’s offer to install surveillance devices, cameras and so on so that the security of their property can be enhanced”, he explained. The Reduced VAT Day was held on Friday December 16 on both St. Kitts and Nevis.